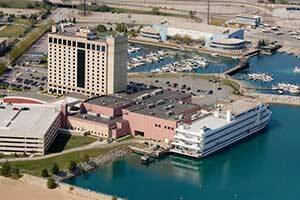 Ameristar Casino Hotel is a riverboat casino on Lake Michigan at East Chicago, Indiana. The casino is open 24 housr daily and features 2,000 gaming machines and 76 table games. 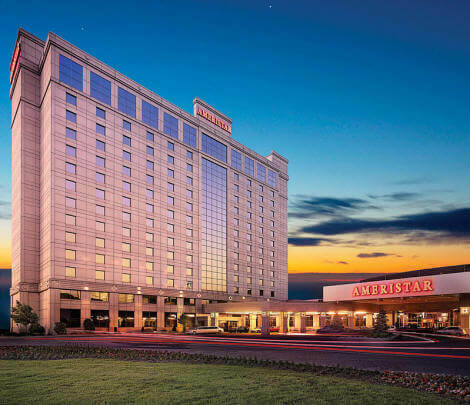 On Thursday the new high limit slot and table game room was opened at Ameristar Casino. 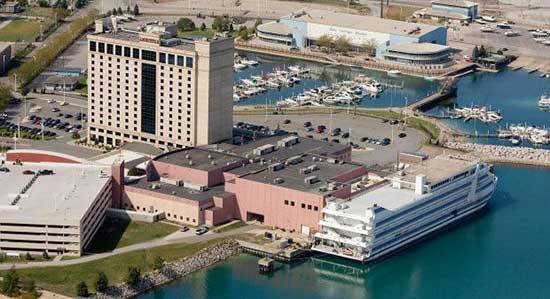 This is the first casino in Northwest Indiana to move some of their casino games onto land and the second for the state. Evansville's Tropicana Casino was the first casino in the state to move some of their gaming operations onto land. 150 guests were invited to attend the celebration. The new game room is located in the space that previously was a restaurant that specialized in hamburgers. The project cost $6 million to complete. The space is 15,000 square feet. There is a private entrance for gamers. New chairs and bases have been added to the 95 slot machines. There are 14 table games. Of those tables, 12 are for blackjack. 2 tables for baccarat. There is a full bar and two areas for food. $25 is the starting bet for blackjack. $10,000 is the maximum. For baccarat $25,000 is the maximum bet. The state gaming law was changed in 2015. This allowed for casino gaming that could only take place on vessels on the water to be able to move to land. By creating space for the casino's high limit game room the casino can now have more choices for renovation projects that could not happen before. Structural changes were not allowed because of the way the boats are built. Moving onto land, the buildings can allow for structural changes to the walls. Where the table games were located will now be the new location for the slot machines. The video poker machines will be moved to the former high limit slot area.